Looking for the latest designer styles? Did you know that our designer sunwear collection is updated regularly with brand name lines from around the world? 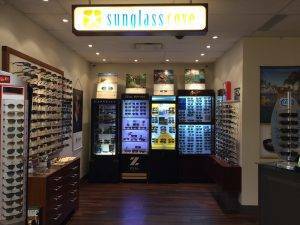 Our Sunglass Cove, through its partnerships with leading distributors, brings you the newest designs from the world's designers and design centres. We also deliver a great value package. From our comprehensive eye health and sight exam through to the highest quality products backed by our great service, we give you personalized vision care at competitive pricing. We want the best for you and your eyes. We think you do too.